Lots of changes at the post office! The huge parking garage was closed and the new parking was sort of in the back and outside near the construction. It was cool to use this huge entrance for the first time. The cost of sending postcards to the US also changed from 2QR to 2.50QR. So many changes! 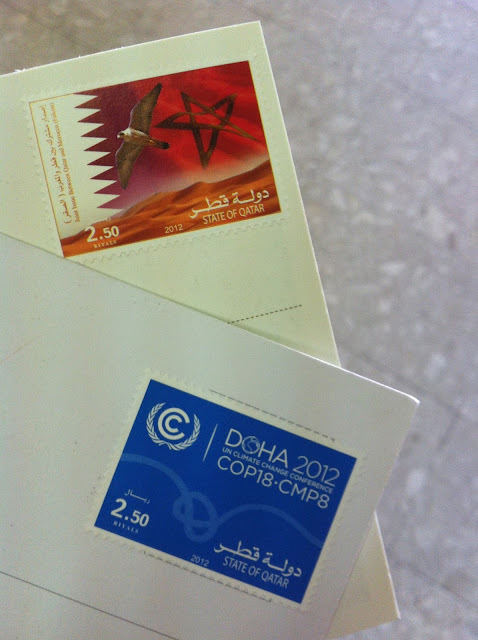 I liked these new stamps. One from Morocco and the other about the UN Climate Change Conference last fall 2012.